This elegant black cardboard tube packaging box will be the ideal choice for your cosmetic products. Made by 250g cardboard paper with pure black paper on the surface, it has a long and thin structure, ideal for small cosmetic objects such as Lip balm, nail polish, eye shadow and eye cream, etc., but you can also use it as package for eyeglasses. Although the printing is very simple, it is made by hot silver process, giving the pattern a very good looking and decorative effect. By default, the black cardboard cosmetic tube packaging box has a very simple style: pure black color and a logo. It is a good idea to not make things complicated as to draw customers’ full attention on the product and brand itself. 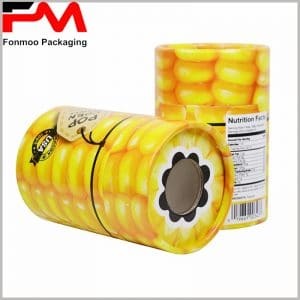 Here you might want to have your very own and special package based on this style, no problem, just contact us, our design team will cooperate with you to make the style you need and sample will be made within 48 hours, with this efficiency you will have with few delays your ideal cardboard cosmetic tube packaging box.